1. Drive-in racking is also called corridor-type racking, composite structure, specialized high-intensity drive-in brackets, high-strength drive-in beam, frames are connected to top beams by bolts&nuts. 2. 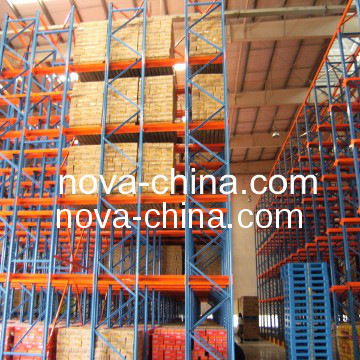 The depth of the single side drive-in racking which is against the wall should not be more than 9 pallet locations, and that of double side drive-in should be less than 15 pallet positions so as to ensure the loading efficiency of forklifts and stability of racking. 3. 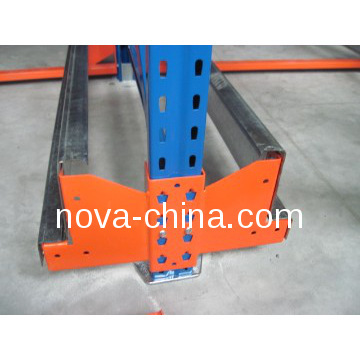 It is best to make drive-in lower than H11000mm because of its not so good stability which is the weakest compared with other racking system. 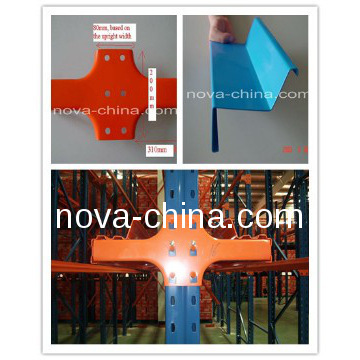 The drive-in racking should be equipped with back, top cross beams, etc. To stabilize the racks. 4. 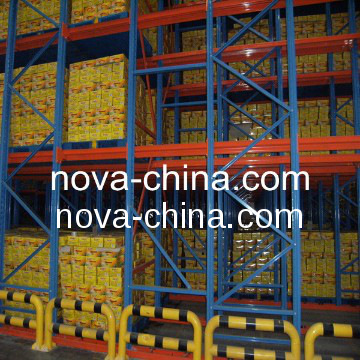 This type of racking is densely arrayed, making full use of storage space; Both "first in first out" and "first in late out" are available, suitable for storing few types of goods with large quantity. Widely used in milk, drink industry, and also be welcome by cold storage.  simple racking system for such multinational corporations such as WAL-MART, SIEMENS, BOSH, SEW, FEDEX, ALAZON, TOYOTA, AMAZON, DangDang On-Line, 360buy, FAW, Mercedes-Benz, Chery Global, Midea, Beijing Capital Airport, etc. Following the strategy of providing customers with products that meet customers’ needs and expectations, Nova will continue its consist on pursuing perfect products and services for all of our clients.